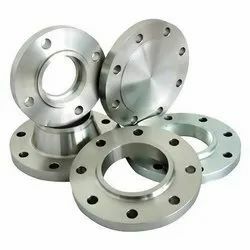 We are among the industry veterans, offering a comprehensive range of Industrial Flanges to our valuable patrons. 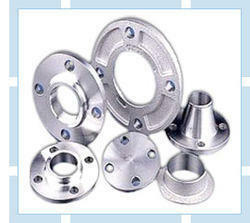 The offered range is precisely designed by our experts in strict compliance with the prevailing industry standards. 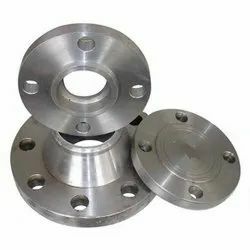 In this range, we offer Monel Flanges, Socket Welding Flanges and Carbon & Alloy Steel Flanges. 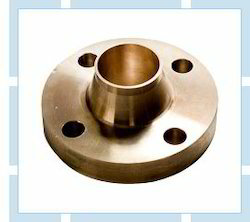 Grade:F1, F5, F9, F11, F12, F22, F91. Standard :150 LBS, 300 LBS, 600 LBS, 900 LBS, 1500 LBS, 2500 LBS,ASA 150#, ASA 300# DIN ND 6, 10,16,25,40 Etc. 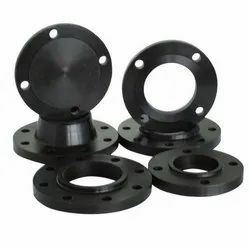 In Form :SORF, WNRF, BLRF, SWRF, LAP Joint, Threaded, Reducing, Spectacle, etc. Standard :150 LBS, 300 LBS, 600 LBS, 900 LBS, 1500 LBS, 2500 LBS, ASA 150#, ASA 300# DIN ND 6,10,16,25,40 Etc. 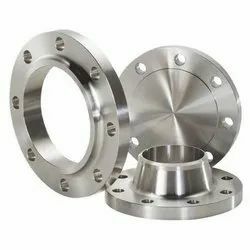 Copper Nickel FlangesStandard :ASTM / ASME SB 61 / 62 / 151 / 152.